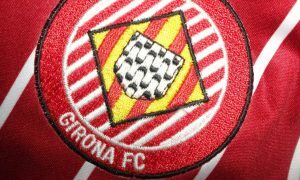 Girona FC are one of the big talking points of the current La Liga season, having arguably overachieved in Spain’s top-flight following their promotion last season. The Catalan club are currently in 7th position and in with a chance of qualifying for the Europa League, and their partnership with Manchester City and the City Football Group is helping them along the way. Girona have taken five players on loan from the Premier League side this season, and although two of them – Marlos Moreno and Larry Kayode – left in January having made no impact, Pablo Maffeo has been an important part of their team, while Aleix Garcia, who has just been called up to the Spain under-21 squad, is also chipping in. The club’s president, Delfi Geli, has spoken of Girona’s partnership with City in a new interview with Reuters, and praised the relationship between the clubs. “City is a very important football institution with a global reach, they lead big sporting, financial and social projects and we believe that with their help and example we can grow a lot,” Geli told Reuters. Geli played alongside City boss Pep Guardiola during their youth at Barcelona B and is proud of what his former teammate has achieved. “He liked to interpret how a team could play and study everything that can happen on a pitch. He was interested in every aspect of the game and was eager to learn more every day. “The fact that Pep is working in one of the clubs of the group is very exciting for us and makes us proud. But he works for City and we at Girona have to go our own way.